Our ice skating rink is finally complete. It turned out far better than I ever anticipated! Because we started so late building it, we couldn’t even consider trying to level the yard first. It’s funny that even in a yard that seems fairly flat, a few inches of decline can make a huge difference when you are thinking of filling a space with water. 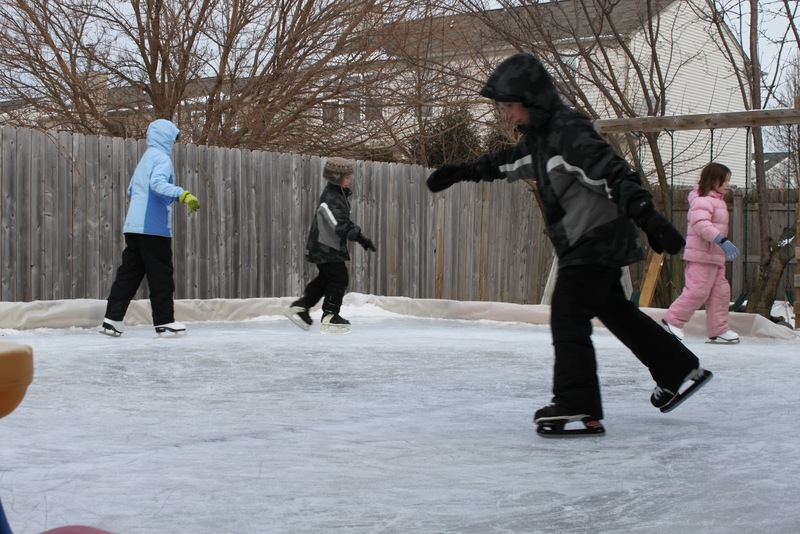 The rink is about 28 feet by 26 feet. My wonderful husband had to build up the far side because it is about six inches deeper than the opposite corner. This means we have about eight inches of water in the deepest section and only about two inches in the diagonal corner. We’ve learned a lot about the freezing properties of water. It took us nearly a week to add layers of water and let them freeze. In the middle of this process, we got several inches of snow. That seems like a good way to fill the rink with water, right? Well, not exactly. It’s too cold for the snow to melt and create a nice smooth surface. If it freezes, it will create bumps that have to be chipped away. 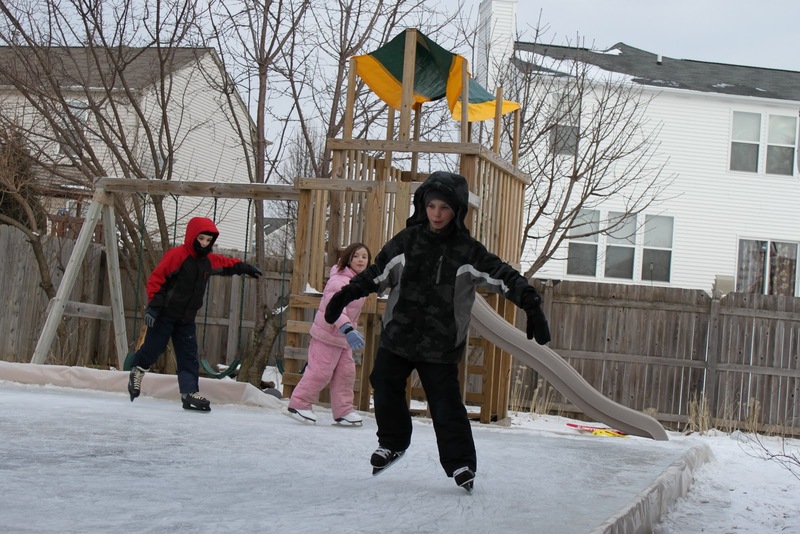 So, snow means we need to shovel the rink! 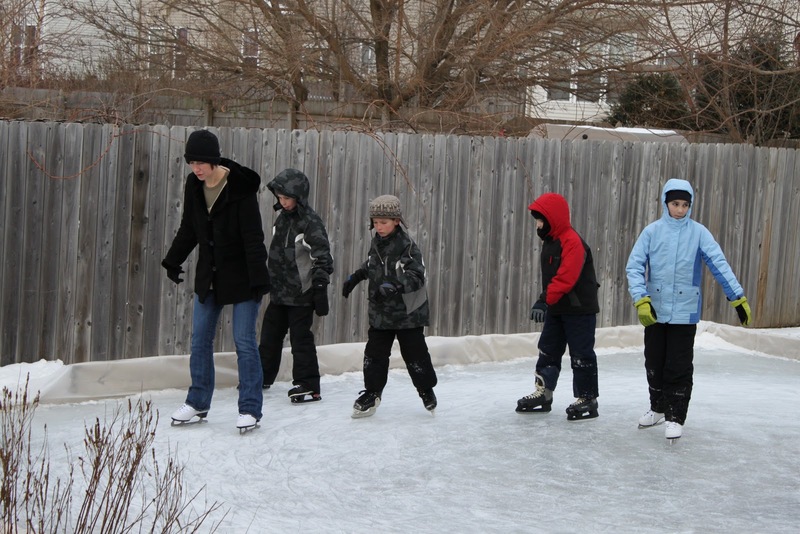 But after much waiting, much shoveling, much filling, much chipping away at uneven ice, we finally got to skate this weekend! I joined in on the fun on Sunday afternoon. The rink doesn’t seem like it would be big enough to really get good exercise. But it actually is. It took me a few laps to find my center of gravity. 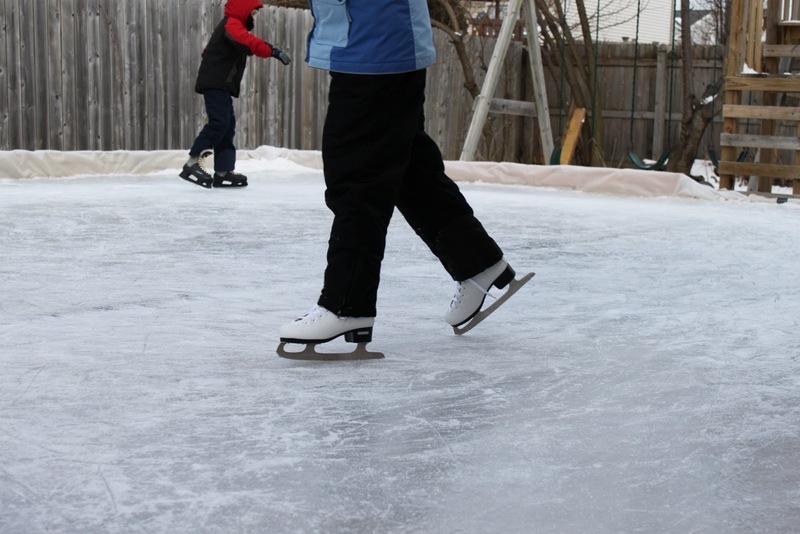 I haven’t ice skated in about 10 years. Once I did, I spent about an hour going around and around. We brought out some music, which was even more fun! These days, we closely monitor the weather. But unlike most years when we moan and groan if it drops below 20, we are starting to look forward to those days! 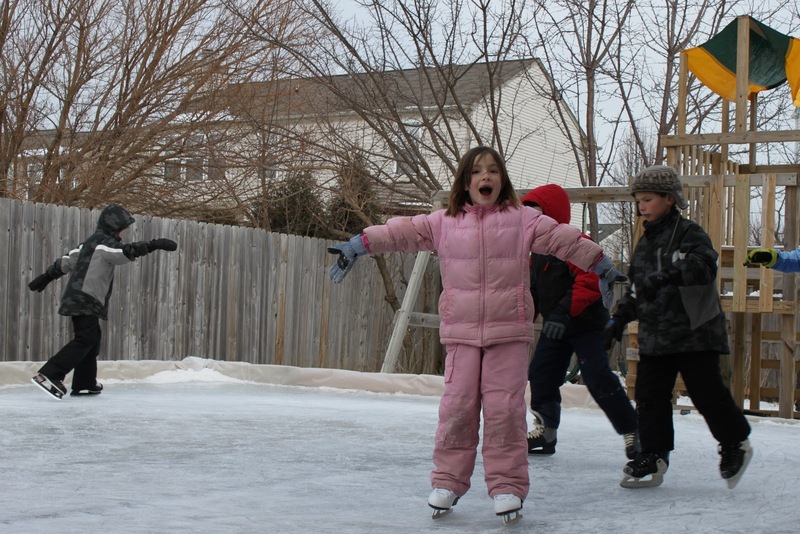 We want to keep our ice frozen so we can have lots more fun on the rink.